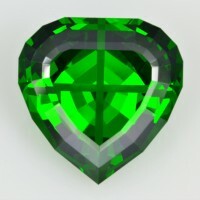 This is one of my most favorite faceting designs: Jessica’s Sacred Heart. It works well even in dark material, and presents a nice cross-inside-a-heart design. 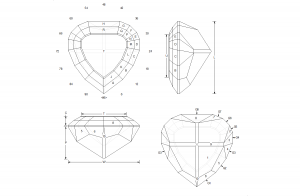 It is not one of the easiest designs to cut, and is a good example of using an OMNI preform.